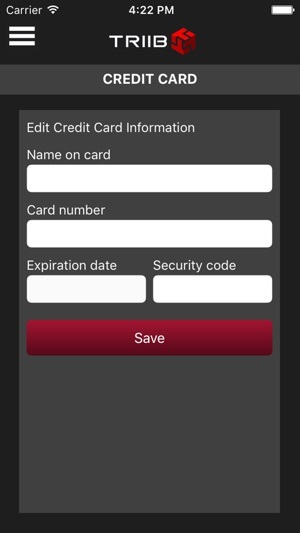 Triib.com Mobile App allows members of gyms who utilize Triib Membership Management System to view the gym's schedule, RSVP for classes, view their current invoice, and upload a profile picture to their account at Triib.com. 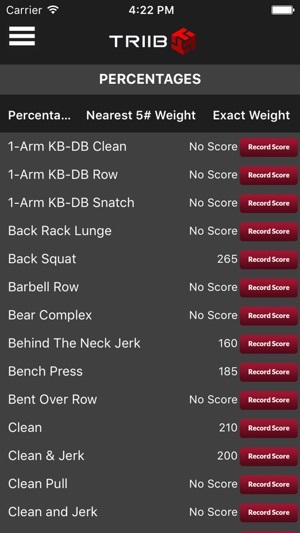 You may also submit your WOD scores and view your WOD Leaderboard via the app if your Affiliate is using Triib.com for their WOD Tracking. 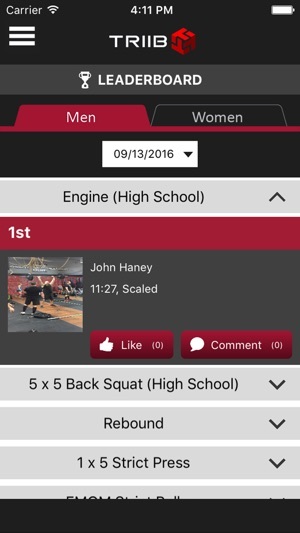 Fixed issue when member tries to add a new workout score under performance tracking for a past gym workout, which caused the app to exit. 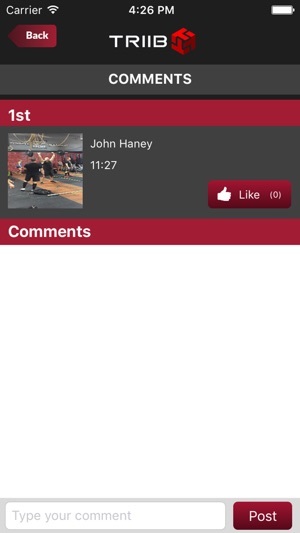 Our gym uses this app to register for classes and track performance. The app itself has so many cool features, but it’s so not-users-friendly most people I know don’t even bother with them. The only thing easy to do is register for classes. Trying to record your scores/progress is a pain. After each score you have to click around and navigate multiple screens to get back to the screen you need to enter additional scores. If you are unsure you entered a score or made an error you can’t just click on the “record score” button and confirm/correct it. That just brings up a blank field. You have to navigate to check scores, see what you did, then navigate around to find the record score page again. If an error dialog box pops up you have to close the app and start over. 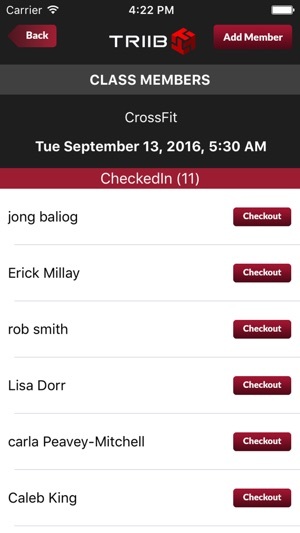 As a gym owner, not only do I I find Triib very easy to navigate, so do my members. Wods can be viewed in advance, scoring is easily added, check ins are quick and easy, and billing info can be easily updated. They can even see who is coaching each class, if the calendar is updated on the backend (which only takes a few minutes). You guys really need to put some money into developing this app. It STILL is not updated for the latest iPhones (X, XS, XS Max) and no Touch/FaceID support. Also, it’s not very intuitive. Getting our members to use it is like killing teeth! Please devote some resources to getting this up to the standards of a paid service.